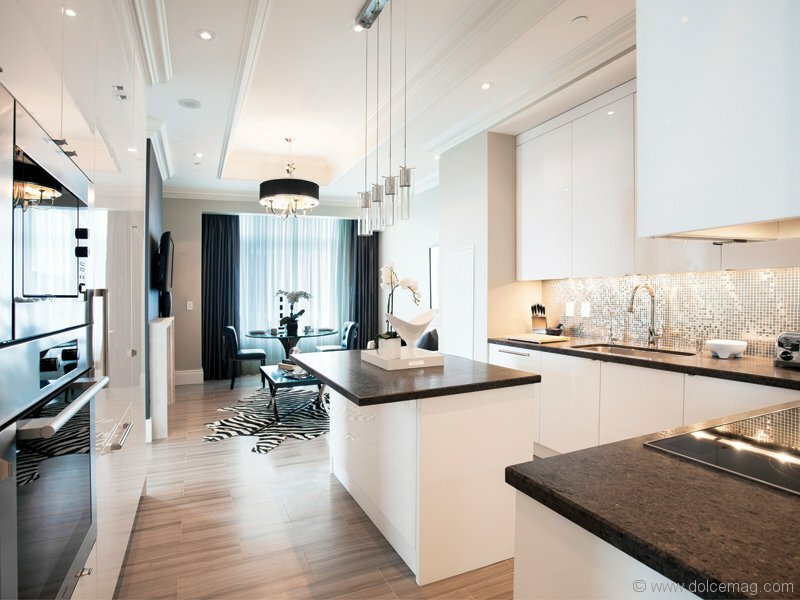 Trump Residences Toronto is often recognized as one of the finest places to live in the Canadian luxury market. Tell me about the range of suites available for interested buyers. There are 118 residences that sit on top of our five-star, five-diamond property, with the best-priced suites starting from $1.78 million for 1,310 square feet. 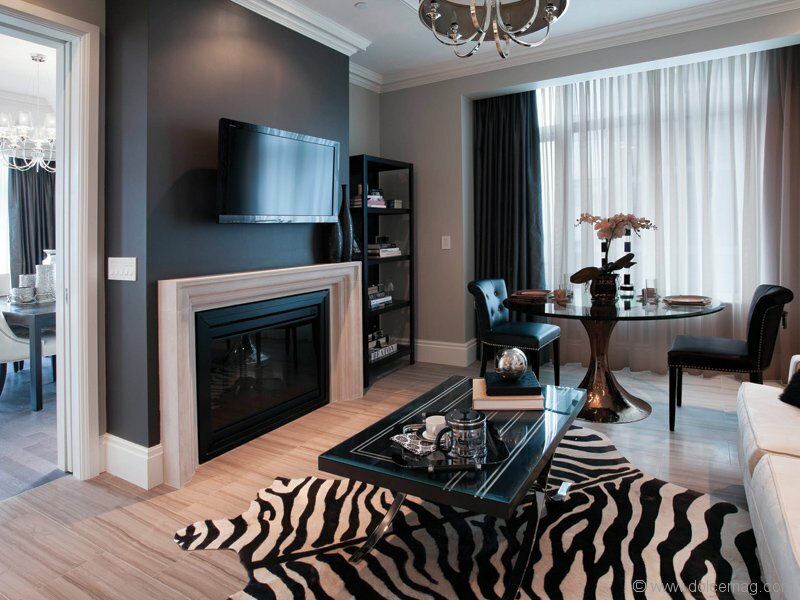 This particular suite boasts one bedroom plus library and beautiful views of the city skyline. It’s suited for a single professional or executive, an elderly couple looking to downsize or a young, discerning couple looking to be surrounded by beauty with close proximity to an exciting downtown core. Our upper residence houses four suites per floor that run from 2,264 sq. ft. up to 3,273 sq. ft. Then we have a floor of two penthouses that are both approximately 4,500 sq. ft. with substantial outdoor terraces and our one-of-a-kind Super Penthouse above that. 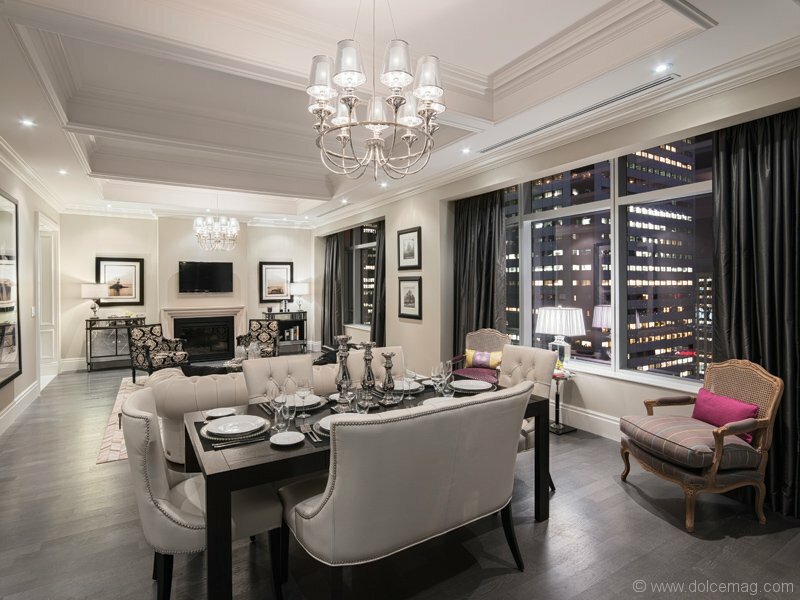 Trump Residences Toronto is above and beyond others in terms of location and quality. We have the highest coffered ceilings — 15-ft.in our suites and 30-40 ft. in our Super Penthouse — and with our attention to detail, finishes and our exclusivity and privacy, Trump Residences are truly spectacular compared to anything else on the marketplace. Tell me more about the Super Penthouse. What makes it so unique? In my opinion, there’s nothing like the Super Penthouse that exists in Canada. Set high above the Trump International Hotel and Tower at a size that’s much larger than the average single-family home, the Super Penthouse is a 12,000-sq.-ft., three-storey mansion in the sky complete with a high-speed in-house elevator. This luxury residence’s most impressive feature has to be its distinctive onion dome with structural steel elements and twin arch windows reminiscent of the art deco crown atop the Chrysler Building in New York. It also boasts a 2,100-sq.-ft. private wraparound terrace that affords 360-degree urban views of the entire city and surrounding areas. On the market for $38 million, the Toronto Star previously reported this particular residence to be the most expensive condominium unit in Canada. Our decision to keep it raw and unfinished appeals to buyers looking to customize, expand and furnish it to their specific needs and desires. Which suite would you say complements the lifestyle of a young family best? Definitely the Rockstar Suite. It’s a beautiful 2,228-square-foot home priced at $2,949,750, and it boasts two large split bedrooms and a library layout providing privacy for a family. A southwest corner-facing suite, it offers stunning lake and city skyline exposures, with multiple private areas making it the perfect place to host a formal dinner party while the kids play or study in the other rooms. 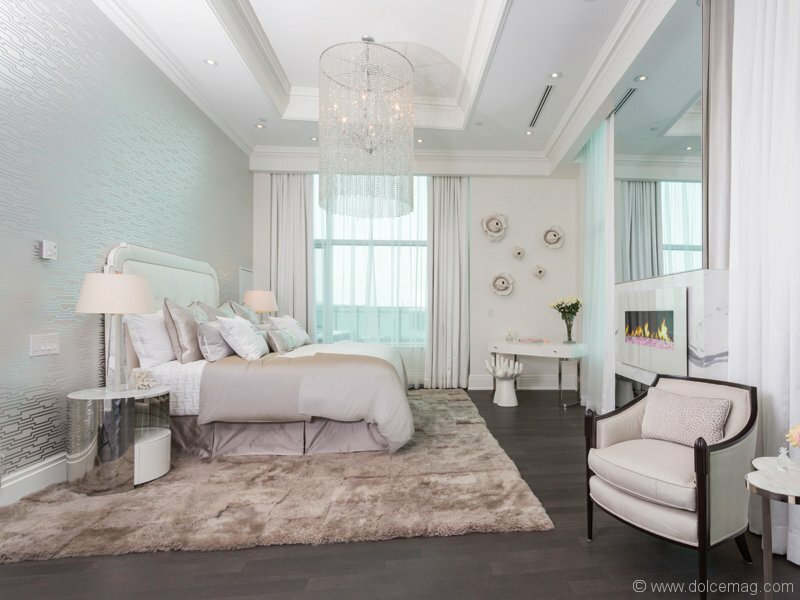 Tell me how Trump Residences Toronto goes above and beyond in its luxury living offerings. The five-star, five-diamond services and amenities at Trump Residences Toronto include a two-level spa and state-of-the-art fitness centre; an infrared sauna and North America’s only 65-foot indoor saltwater infinity pool that plays underwater music while you work out. Residents have full access to 24-hour services such as security, valet, housekeeping, dry cleaning, in-room dining and catering, kids and pets programs, and a dedicated concierge. Upon asking the residential concierge for a list of all the services provided he laughed and said, “That’s probably the one thing I can’t do because the list is endless! It’s whatever a client needs and wants.” We also have the only in-house car program in the city that will drop off and pick up our residents anywhere in the downtown Toronto core. What type of entertainment and dining features do the residences provide? Every resident is provided with access via a private elevator to America Restaurant, a chic and stylish supper club experience driven by modern esthetics and fine dining. Whoever comes out of the private elevator entrance is immediately given preferred seating at all times in the restaurant. Residents also have access to their own private set of high-speed elevators that can shoot them up to the Sky Lobby, located in the tower’s midway point in height. This beautifully appointed reception/lounge area features high-end finishes and a $130,000 Steinway piano. Outside the Sky Lobby’s south windows, an expansive terrace overlooks the city and Toronto’s financial core for a truly spectacular cosmopolitan view. For a casual drink or late-night snacks, the sleek and sophisticated Calvin Bar on the main floor is the perfect place to unwind. The Trump International Hotel & Tower Toronto was recently named Canada’s top hotel for 2015 by the Annual Condé Nast Traveler Readers’ Choice Awards. Apart from quality, services and amenities, what other factor elevates Trump Residences Toronto into the most prestigious address in the city? It’s location. 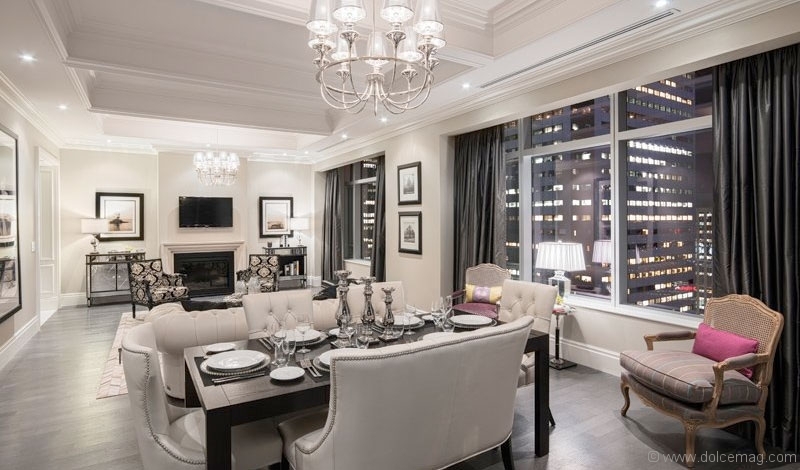 Being in the Financial District with close proximity to businesses, top restaurants, entertainment centres and sport complexes, the Four Seasons, schools and Porter Air, we are situated in what is now the premier location in Toronto. An example of the trend shifting to the Financial District can be seen with the Toronto International Film Festival and related parties moving down to this area. Is attention from buyers mostly local or international? I would say it’s a mix. The majority of attention is from here, usually from guests reselling their home in Forest Hill and looking to downsize to a pied-à-terre. But there’s also a large international influx of people right now wanting to live with us in the best city in the world, and that type of attention has extended quite rapidly as of late. We also have lots of celebrities and athletes living here but I can’t mention any names due to confidentiality. They are, after all, here because of the privacy and exclusivity that we offer. What incentives do potential buyers receive with the purchase of a Trump Residences Toronto penthouse? Apart from our numerous amenities, our developer, Talon International, recently partnered with an esteemed automaker that reflects our values on the pinnacle of prestige and luxury. This year we announced that individuals who purchase a Trump Residences penthouse will receive a 2016 Rolls Royce to own. This effort is just one way of showing how we, one of the world’s pre-eminent brands, take unparalleled services and providing exclusive incentives to our guests seriously.